Wiseacres is a certified organic family-run farm in Centreville, Ontario, Canada. 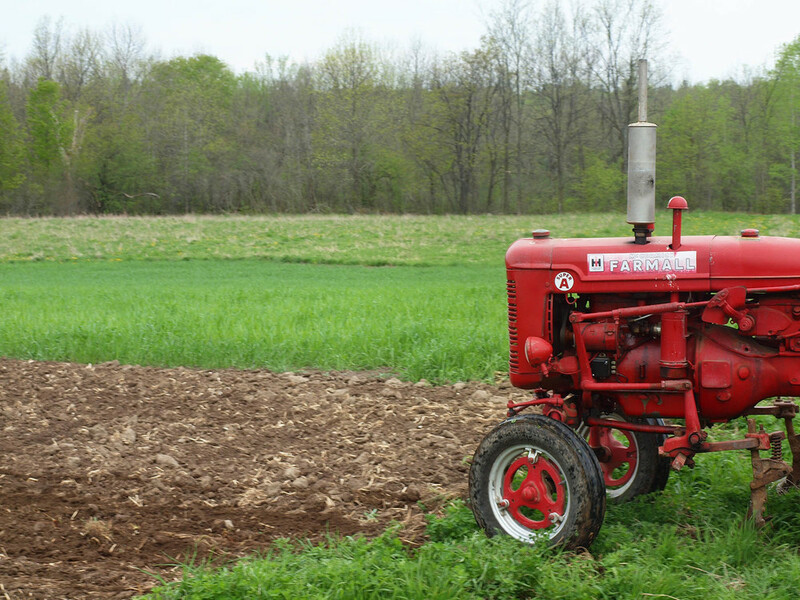 We produce market vegetables, pick-your-own strawberries, pastured beef, pork and poultry, eggs, soybeans and wheat. Check out our NEWS page to see what's fresh now! John Wise grew up in cities but caught the back-to-the-land bug in the late 60s. He obtained a diploma in fruit and vegetable production from the University of Guelph and started farming at Wiseacres in 1978. The operation started with pick-your-berries and has grown to include asparagus, market vegetables, field crops like wheat and soybeans, and chickens, pigs, and cattle. All the crops are certified organic and the animals eat only certified organic pasture and feeds. Wiseacres is now one of the largest organic strawberry patches in Canada and supplies many local CSAs, restaurants and individuals with organic meat and produce fresh from the farm. John’s son Evan has worked on the farm in the summers since he was a boy, and after obtaining a music degree and working in cities, he and his girlfriend Maya have caught the farming bug too, and have joined his aging dad as co-operators of the farm.